The Organization of the Islamic State in the Grand Sahara, a franchise of Daech in the Sahel led by a former militiaman of the Polisario, has threatened to launch attacks against Morocco and against MINURSO in the southern provinces of the Kingdom. 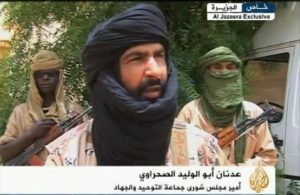 In an audio recording posted on the news website of the Qatari TV channel Al Jazeera, the leader of IS in the Grand Sahara, Adnan Abu Walid Al-Sahraoui, whose real name is Lehbib Ould Ali Ould Said Ould Joumani, called his supporters to attack Moroccan tourist sites, the HQ of national Security and the offices and peacekeepers of the MINURSO. 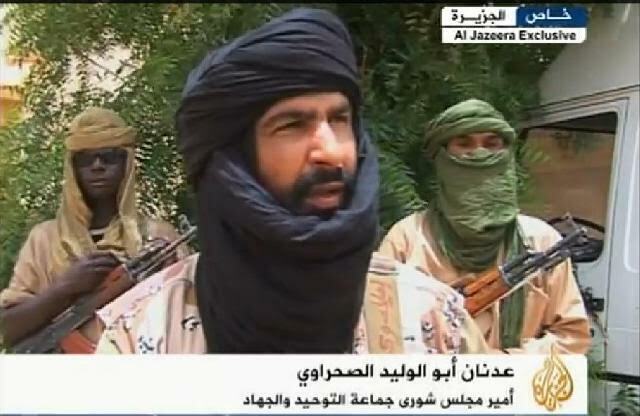 On May 13, 2015, Abu Walid al-Sahrawi followed Belmokhtar’s steps. He proclaimed himself “emir” of the Organization of the Islamic State in the Grand Sahara and paid allegiance to Daech. The Polisario reacted immediately to this information and accused not only Morocco and its intelligence services of collision with the MUJAO but also Qatar, alleging the Gulf State funds MUJAO and other Islamist groups operating in northern Mali. The polisario also accused the authorities of Burkina Faso, claiming they turn a blind eye on the conveyance of weapons to terrorist groups based in northern Mali. According to these media, the parties involved intended to destabilize Algeria -the major supporter of the Saharawi cause- and the threats against Morocco were mere diverting tactics.